Quality Management Software will streamline your organization quality audit process and help you improve your existing processes and gain Customer Satisfaction. Quality Management is the single most important process in any organization. It is vital for any business process improvements. This Quality Management system allows organizations to understand precisely what customers need and consistently deliver accurate solutions. 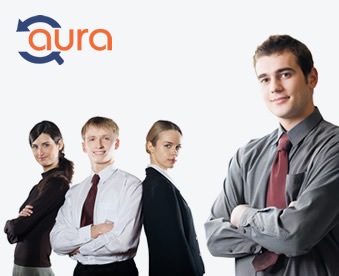 Our web based QMS software will allows organizations to manage quality documents from one console, organizes the users, groups & gives only secured access based on the user levels, handle different types of schedules such as Audits, Meetings, Training sessions, Demos, etc., besides logs Audit Plan, tracks Discrepancies, observations and their preventive actions & reports on completion. In addition, it effectively manages task by raising alerts and it also has features to track individual tasks status, generates detail reports for schedules and tasks. This module is used to display the list of documents to be available on the web portal. QMS documents can be organized under different business units, different QMS Processes & in multiple levels. Document changes / revisions can be tracked. Access to the documents can be restricted by assigning a security role with the proper access rights. End to end schedule management covers all possible phases of different schedules. Different schedule types such as Audits, Meetings, Training sessions, Demos etc can be managed. Under Audit schedule, below phases can be tracked. This module is used to Assign / Review / Update tasks. Privileged user can be able to create & assign tasks to other users. Whoever having Quality Management System in place can make use of the software to simplify their day to day tasks.